All technicians of our business are knowledgeable, well-equipped and perfectly trained to provide the best garage door repair. Look at the bottom of the garage door. This will tell you whether the weather sealant has cracked or broken. In any case our specialists recommend replacement if there is a problem. You are not likely to achieve much if you simply cover the cracks in the sealant. It is far better to get a new product. When conducting visual inspection, pay attention to the chains that attach the garage door spring to the bottom support of your door. Make sure that they do not appear worn out. If they do, this means that your garage door cables are almost at their limits. 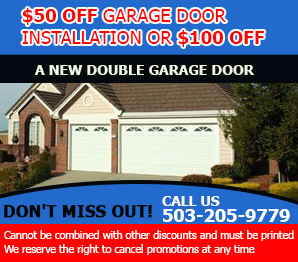 Immediately contact your garage door service provider for troubleshooting and repair.